← My former Head of Year, (Mr) Gareth Warren has passed away – some reflections. 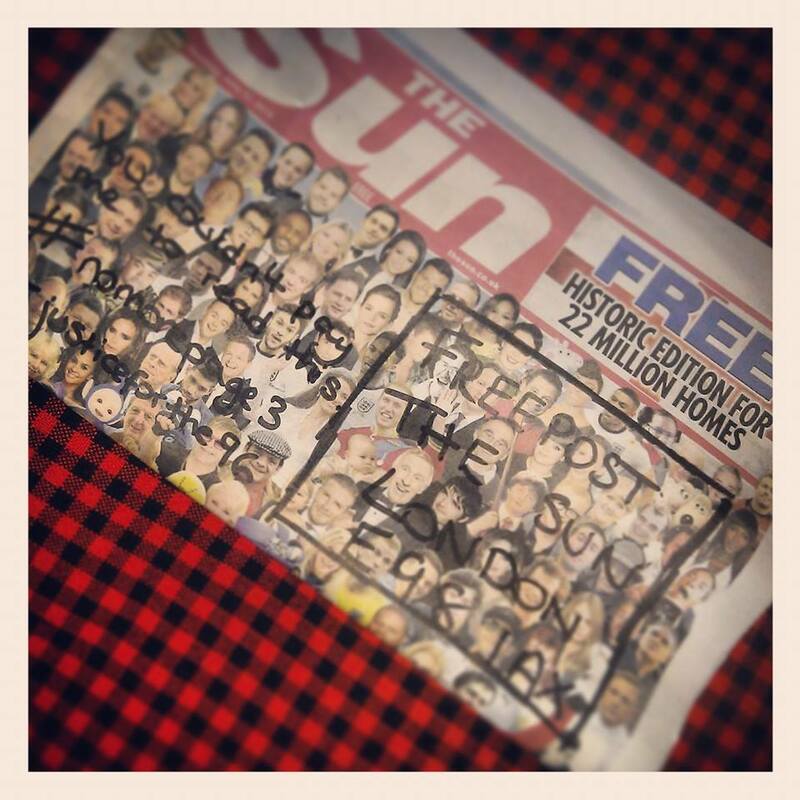 When you get your free copy of The Sun in the post today, you can return it to FREEPOST, The Sun, London E98 1AX. My suggestion is to write “Justice for the 96” or “You dropped page 3 once, why not forever?” on the front. But I trust Hynd’s Blog readers to think of their own creative slogans as well (suggestions in the comments box below please!). Let’s get creative and tell The Sun that we don’t want their divisive, misogynistic, lying newspaper in our front rooms. Sent back my free copy with the page 3 ‘beauties’ speech bubbles saying ‘No More Page 3’ and ‘Justice for the 96’ wish I could upload the photo I took of it before I sent it back! Thanks for your blog on this issue. I am sending each page back to the scumbag sun newspaper, in 12 individual envelopes, marked with Justice for the 96!! i used mine to mask-up bodywork and then sprayed my vehicle without reading a single article! Sending them back to the sun won’t cost them a penny, it’s abuse of freepost so the sun won’t have to pay. Plus anything larger than a letter Royal Mail won’t deliver as freepost only covers letters not parcels. Some of your comments were class though, was sorting them in work, was at least a few thousand we received. You can also phone them for free on 0800 169 1194 – ask for Steve Taylor, or make a complaint to whoever answers. Be firm and polite. Oh dear! I am in possession of a promotional copy of the Sun, which was delivered to my house by your staff. I really like my postman and the other Royal Mail delivery staff that I meet, so this is not a complaint about them. It is a complaint about your organisation. I’m not sure what the Sun is; is it actually a ‘newspaper’? To my mind it is misogynistic, sexist, right-wing rubbish. The organisation that produces it, News International, is rightly reviled by many thousands of people for its page 3 crap, its lies after the Hillsborough disaster, and of course for hacking a dead schoolgirl’s mobile phone. I certainly don’t want this copy of the Sun, so I’m returning it to you. When you create business relationships with vile organisations like News International, you have to accept that people will respond, complain, and of course go elsewhere when they’re looking for couriers and delivery companies. My eBay sales will now go through a different courier, not through Royal Mail, so that’s one long-term customer you have lost because of this. I didn’t get one 😦 there are so many good ideas that I could use. I wee’d on mine ( urine is a natural disinfectant) , dried it in the real sun then popped in an envelope made out of the Evening Standard ( to save the post office workers) and THEN sent it back! YOU NEED TO INCLUDE THE FREEPOST LICENCE NUMBER. Otherwise you’re just creating unnecessary work for the postie. I’m sending my copy back….there was no page 3 girl! Someone’s suggesting it should be dropped forever…that’s crazy talk! Why not forget the put the freepost on the envelope? Meant forget to put freepost on the envelope! A much better idea than ritualistically burning it. even the guinea pigs didn’t want it to line their cage with. Not even fit for guinea pig poop. Going back with some other unwanted stuff from the recycling bin. Happy Days. another option is to just pop it into your local post box….along wqith all the other unaddressed junk that the Royal Mail put through our doors…. I live in flats so all junk mail gets chucked on a table, hope the sun enjoys their 6 copies of the sun (sent separately) plus local free papers and leaflets stuck to them. Why not tape the paper to your garden waste bag and send the lot to the Sun. Saves paying the council to take it, or going to the tip ! Wrap the paper round a housebrick. They pay for the delivery by weight / size. I was gonna wrap some fish with it, or line the bottom of a budgie cage, but I’ll return it if it costs them. The freepost address is an official address that gets paid for by The Sun, I presume…? Sadly I have only very small envelopes so shall have to send it back to them a page at a time. But then you will be paying for the envelopes. Don’t forget to put it in a jiffy bag and fill with junk free fliers that you get through the door. Hopefully they’ll be charged on the weight! Ed clearly isn’t bothered about the Liverpool vote then! 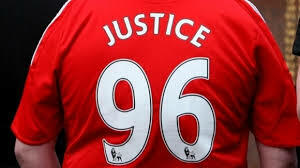 Thanks for the address – Mine went back with Justice for the 96 on it! The freepost is not free to the companies that use it. The sun will have to pay for every free post letter they receive. Would not tear that tripe into squares to hang in my Privy: even if I had one. I’d suggest a refinement to this plan. If your granny has a budgie, keep the paper a couple of days at the bottom of the cage before returning it with compliments. Thanks for the address. We’re going to post them ours, although we were initially tempted to use it to save on toilet paper.